Free Shipping on orders over $49*" *Continental US only; Excludes items over 7ft in length. 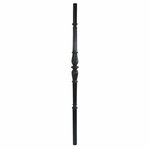 Iron Newel Posts for use with iron balusters. Available in several different finishes. 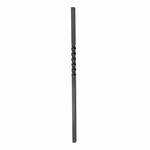 Single Twist Iron Newel 1-3/16" sq. 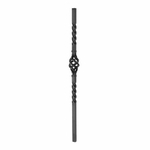 Single Basket Iron Newel - 1-3/16" sq. 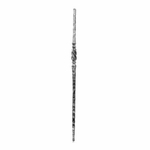 Gothic Hammered Single Knuckle Iron Newel - 1-3/16" sq. 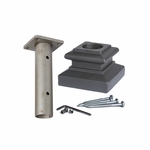 Iron Newel Mount Kit with Flat Shoe for 1-3/16" sq. Round Newel Mount Kit for 1-3/16"
Enjoy Promotions & Sales?Sign up here to receive our special offers and updates direct to your mailbox.